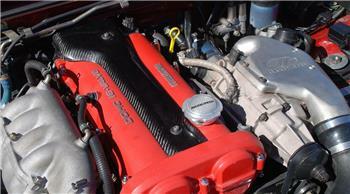 Garage Star spark plug covers MAZDA - MiataRoadster - Stay tuned with MiataRoadster! Garage Star spark plug covers hide the spark plugs giving a cleaner look to the engine bay. Available in fiberglass or carbon fiber.